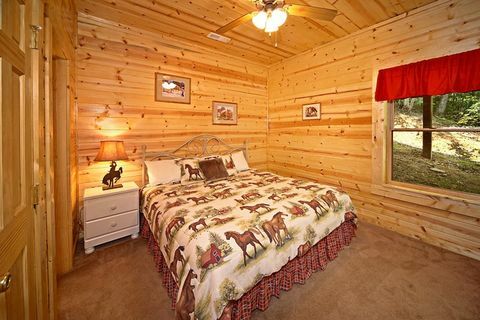 Cabins In Pigeon Forge - "Cowboy Up"
Our cabins in Pigeon Forge, such as "Cowboy Up," are great for large groups and family reunions. 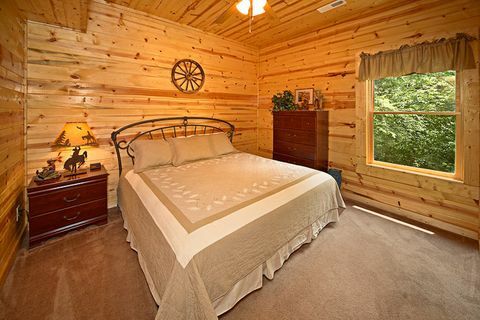 Located in Mountain Park Resort in Pigeon Forge, this cabin rests less than a mile off Pigeon Forge Parkway. 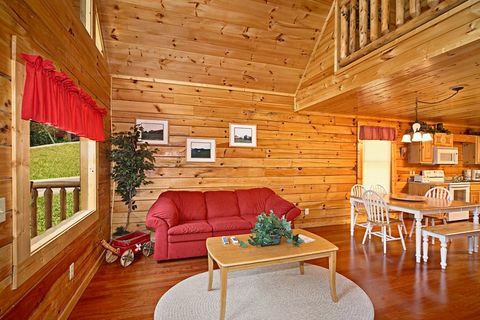 You can also enjoy a comfortable stay at a large, 5-bedroom cabin that sleeps up to 14 guests and comes complete with modern, opulent amenities. There's plenty of fun to be had in nearby Pigeon Forge, where you and your guests can enjoy non-stop from early morning into the late evening with dozens of attractions. Enjoy everything from mini-golf to outlet shopping, live stage performances to an ample selection of restaurants! 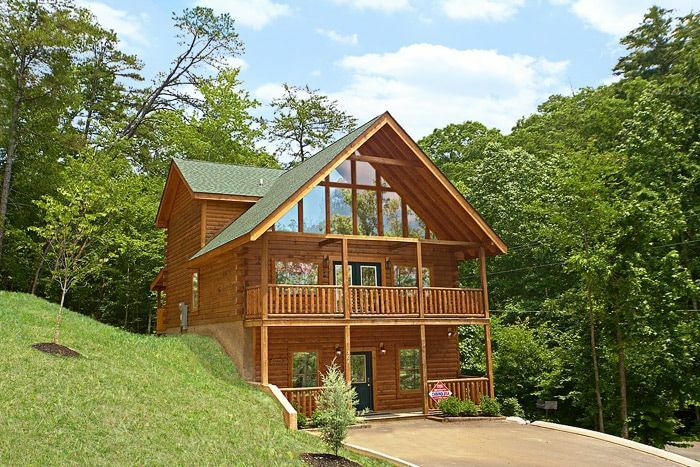 No matter how you want to enjoy your vacation, this cabin places you close to it all! 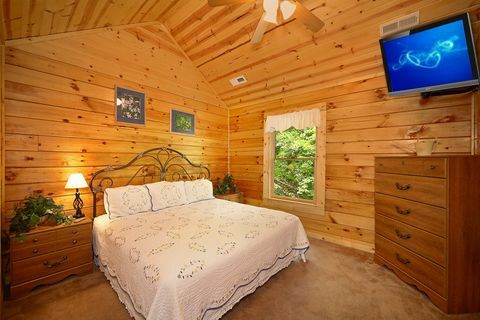 There's plenty to love back at your cabin with great features inside your cabin as well as great resort amenities. 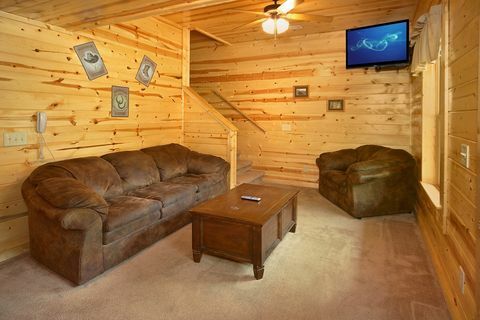 There's plenty of ways to have fun at your cabin retreat. 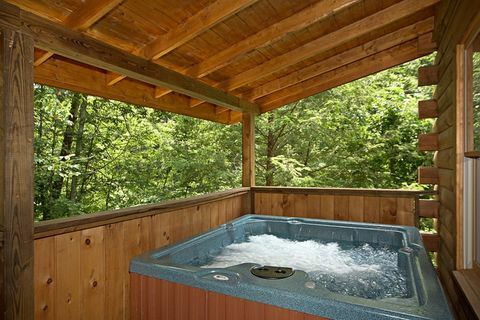 Cool off from the summer sun in the resort swimming pool or enjoy the hot tub year-round on the covered porch. 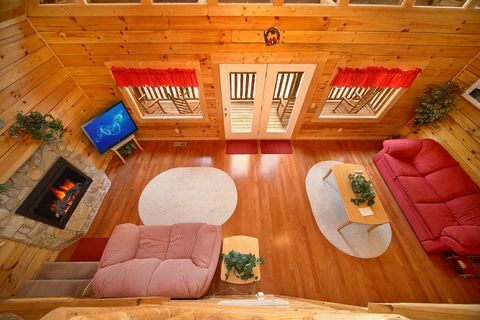 Stream video and games on this cabin's WiFi Internet. 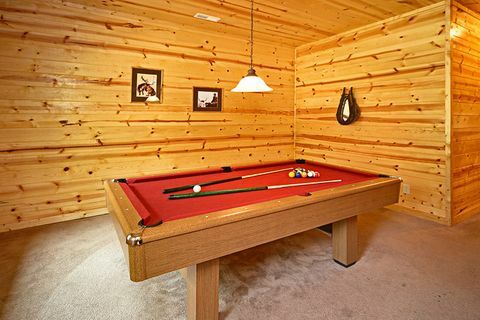 Shoot a few rounds of pool in the game room. 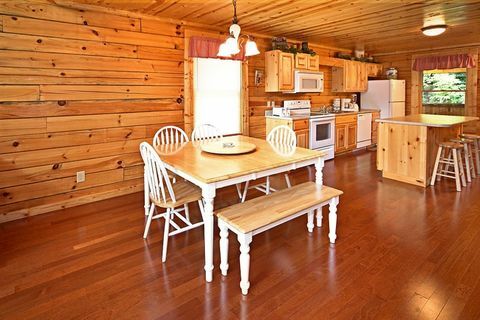 You'll also enjoy resting and relaxing at your cabin as well. 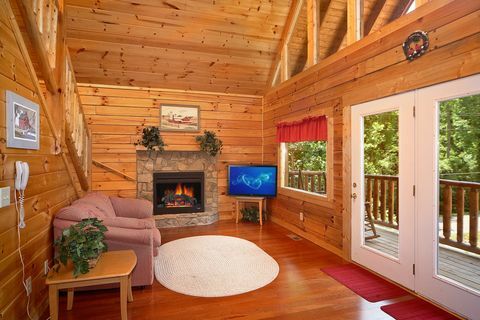 During the cool winter months, cozy up next to the lovely stone fireplace in the living room and enjoy its warm glow. 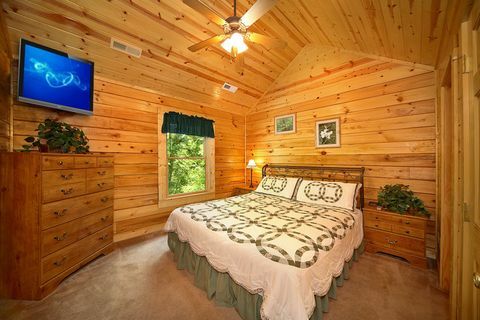 When you're ready to call it quits for the day, sink into one of 5 lavish king-sized beds. 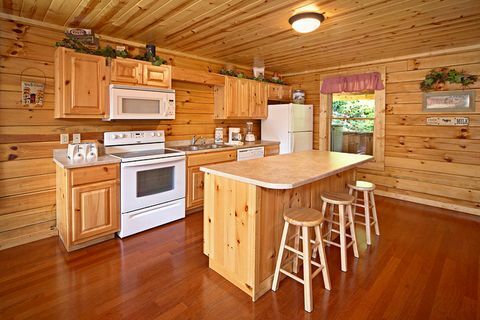 From snacks to holiday meals, you'll enjoy laid back family meals fresh from the fully equipped kitchen and charcoal grill. 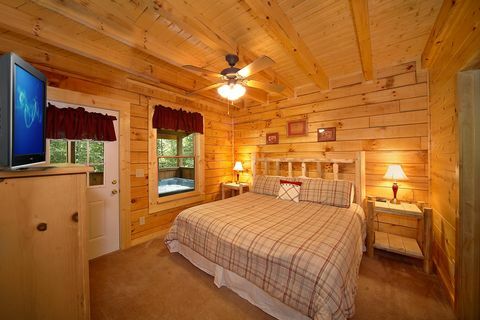 Book "Cowboy Up", or any of our cabins in Pigeon Forge, and get immediate Online Savings! What are you waiting for? 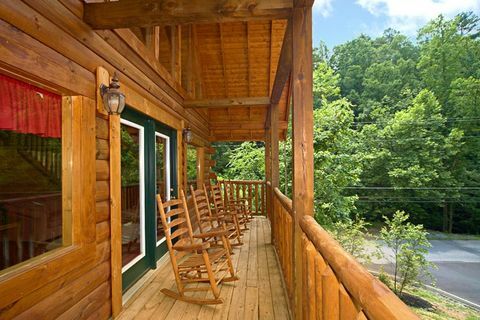 Come relax in the beautiful Tennessee Smoky Mountains and give your group a vacation to remember filled with lifelong memories!